Beyond expectations, the first modern Olympic Games in Athens, Greece in 1896 was a success. It was said that 80,000 people cheered the last event – the marathon – with an enthusiasm bordering on hysteria. But indeed, Coubertin was the animating force behind the modern Olympics. His was a particular vision in sports. As Goldblatt describes, Coubertin was a man of the aristocracy and well connected. After visiting England and meeting Dr Penny Brookes and seeing his Much Wenlock Games, Coubertin realized that sport had a way of unifying people. From that point on, Coubertin had a vision for unifying the world, as he knew then, in a vision of sport and sportsmanship. The late 19th century was a time of optimism. Technology was making the world smaller. And the more people knew the people of other lands, the more they traded with people of other lands, the more they visited other lands, the less likely, some thought, that they would go to war with other lands. For Coubertin, sports was a mechanism for peace. It is clear that the telegraph, railways, the telephone, the passionate research in science, congresses and exhibitions have done more for peace than any treaty or diplomatic convention. Well, I hope that athletics will do even more…Let us export rowers, runners and fencers: there is the free trade of the future, and on the day it is introduced within the walls of old Europe the cause of peace will have received a new and might stay. This is enough to encourage your servant to dream now…to continue and complete, on a basis suited to the conditions of modern life, this grandiose and salutary task, namely the restoration of the Olympic Games. Coubertin spoke those words in a conference he organized in November 1882. Goldblatt wrote that the audience was indifferent to his ideas. But he was not discouraged. 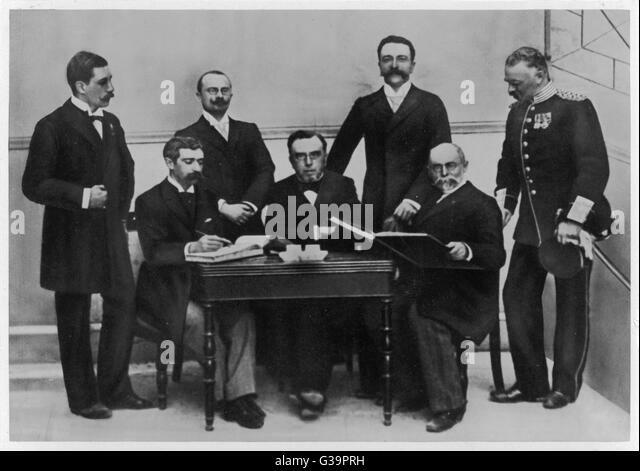 His next goal was to arrange another conference, in May 1894. He continued to write and meet people from other lands, associates and friends, royalty and heads of states, explaining his vision of a new Olympics, one based on the principles of peace and internationalism. He got 78 delegates from sports organizations from 12 nations to attend his Paris International Congress for the Re-establishment of the Olympic Games: Austria, Belgium, Britain, Bohemia, Germany, Greece, Italy, Russia, Spain, Sweden, and from as far away countries as America and New Zealand. According to Goldblatt, the conference was a week of speeches, social engagements and of course sporting events, including bicycle races and tennis matches. In the end, thanks to Coubertin’s backroom influencing, he was able to achieve a vision: the establishment of the first modern Olympics in the home of the ancient Games, Athens, Greece. The congress not only agreed to Greece hosting the first Games in 1896, but also for Paris to host the next in 1900. The congress also agreed on the competitions: aquatics, athletics, boxing, cycling, equestrian sports, gymnastics, polo, shooting and wrestling. When the congress agreed to form a permanent committee to organize the Games. Thus was born the International Olympic Committee. Posted in Geo-politics, Other Olympics and tagged 1896 Athens Olympics, Baron Pierre de Coubertin, David Goldblatt, Dr Penny Brookes, first modern Olympics, International Olympics Committee, Much Wenloch Games, The Games A Global History of the Olympics. Bookmark the permalink.